I am very crazy! 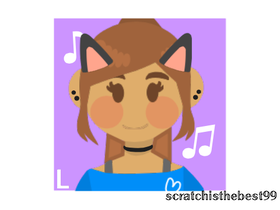 Thank you SO MUCH to @LeiIani for my super cute profile picture! Go check out their project for an amazing icon! my MAP so please go check it out! The most popular studio on scratch! What's wrong with Scratch 3.0? My best friend has come on scratch! Intro to Our collaboration with our special guest! The crack the code series!